Georgia Manufacturing Alliance and the Georgia Employers' Association to bring influential keynote speakers and industry-relevant seminars to a leadership conference in Savannah in March. A conference is coming to Savannah, Georgia in the Spring, which is sure to be a benefit to Georgia business leaders. This is the 35th anniversary of the leadership conference presented by Georgia Employers' Association (GEA). 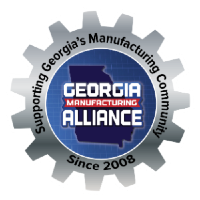 The Georgia Manufacturing Alliance (GMA), is partnering with GEA to host the "Spring Leadership Conference" which will be held at the Westin Savannah Harbor Golf Resort and Spa. The conference will feature keynote speakers Phil Horlock, President and CEO of Blue Bird Corporation, and J. Randy Jackson, CAO of Kia Motors Manufacturing Georgia. With other planned speakers and seminars, a focus of the three-day event is on preparing businesses for what is coming in 2016 in a volatile political landscape, where regulations can increasingly present challenges to businesses. When asked why events like this benefit local businesses, Jason Moss of the Georgia Manufacturing Alliance said, "One of the most important things we can do is to empower our local business leaders with innovative ideas and insight from others who are successful at doing amazing things in the Georgia business community." The event will be held March 20-22, 2016. A complete agenda and registration information can be found by visiting http://georgiamanufacturingalliance.com. Empowering our local business leaders with innovative ideas and insight from others who are successful at doing amazing things in the Georgia business community.